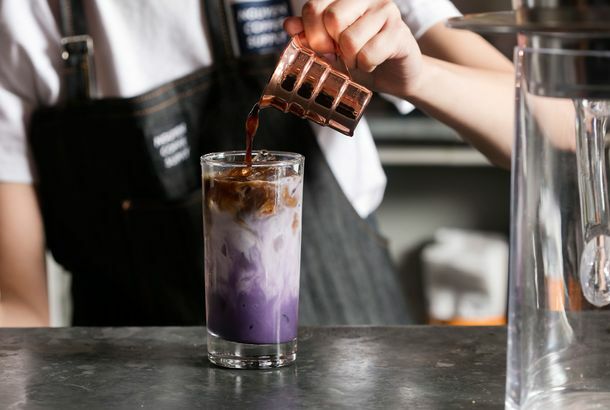 The City’s Newest Caf﻿é Is Dedicated to Vietnamese CoffeeCafe Phin’s specialties include coconut coffee, which you’ll want to drink all summer. 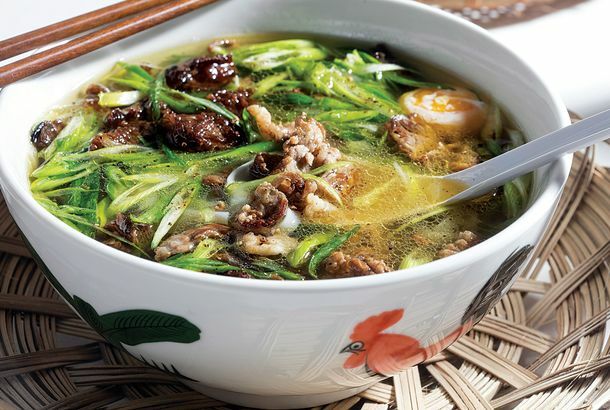 The An Choi Crew Is Opening a Pho-Focused Noodle Shop in GreenpointThe menu at Di An Di includes the Pho Thin Hanoi, a tribute to the signature soup served at Hanoi’s famous Pho Thin restaurant. An Choi on the Small Screen; Aretha Gives Up Pigs’ FeetPlus: Catalan chef Santi Santamaria has died, efforts to ban caramel in soda, and more, in our morning news roundup. Texas Barbecue Pops Up at Trophy Bar TonightSmoked brisket and Meyer sausages straight from Texas. Move Over, Momo: An Choi Introduces ‘Beef 7 Ways,’ TooCan’t get a table at Má Pêche’s “Bò 7 món” feast? Here’s a cheaper alternative. Má Pêche Accepts ‘Beef 7 Ways’ Reservations; Boi NoodlesPlus: a French crêperie moves to St. Marks, and Cosmic Cantina prepares to close, in our daily roundup of neighborhood news. An Choi Breaks Into Next-Door Space, Plans Pop-up and New RestaurantThe narrow Vietnamese eatery has made more room for itself. Le Pain Quotidien Expands to Battery Park; T Poutine ClosesPlus: Ayza opens for lunch on weekends, and River Barrel Café transforms into Mrs. Kim’s, in our daily roundup of neighborhood news. Foodies Storm the Armory for Village Voice Choice Eats732 deviled eggs served, a couple sucking face, and some restaurant intel. Mother-Daughter Team Brings Pies (and Pie-Themed Truffles) to Hester Street FairThe latest two vendors to join the Hester Street Fair. Kampuchea Expands; Beer Garden for Myrtle Avenue?Plus: Greenpoint Market expands, and free food at i Trulli, in our regular roundup of neighborhood food news. Hipster Mash-ups: Macro-Sea Pools Meets Rockaway Taco; Asia Dog Meets An ChoiRooftop farms, secret swimming pools, and Asian hot dogs! Canta y No Llores: La Barra Gets BeerMicheladas, coming right up. Spice Market Disappoints Bruni; Mystery Meat at MontenapoPlus: Robert Sietsema’s favorite bánh mì, Gael Greene on Marea, and more in our weekly roundup of restaurant reviews. An Choi Opens Its Back PatioPlus, new menu items at the Vietnamese upstart. Two Liquor Petitions Work Better Than One?Plus, plans for the inevitable: a bánh mì truck! The Bánh Mì Boom: A Grub Street TimelineA look back at over two years of bánh mì buzz, and how the humble Vietnamese sandwich became the new panino. Bánh Mì Boom: The Vietnamese Street Eats Just Keep ComingThe latest in Asian sandwiches. What to Eat (Now and in the Future) at An ChoiA first look at the Lower East Side Vietnamese spot’s menu and the interior. Plus, a preview of what’s ahead. Chinatown Threatened by ‘Trendy’ RestaurantsBut what exactly does trendy mean? Bánh Mì Buzz: Hanco’s and An Choi Are Now OpenGood news for Vietnamese-sandwich lovers in Brooklyn and Manhattan alike. Asian Sandwich Check-in: An Choi and Num PangA chic Vietnamese street-food joint is coming to the Lower East Side; Kampuchea readies its sandwich bar. Bánh Mì Buzz: Good News for Manhattan and Brooklyn AlikeA Vietnamese street-food joint is coming to the Lower East Side, and Hanco’s is opening another Brooklyn location.